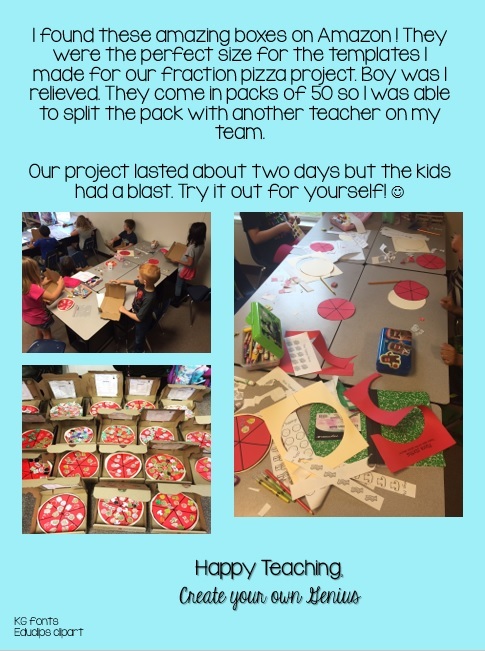 I started my Teachers pay teachers store two years ago. In starting my store I would say that coming up with a store name was probably the hardest part. 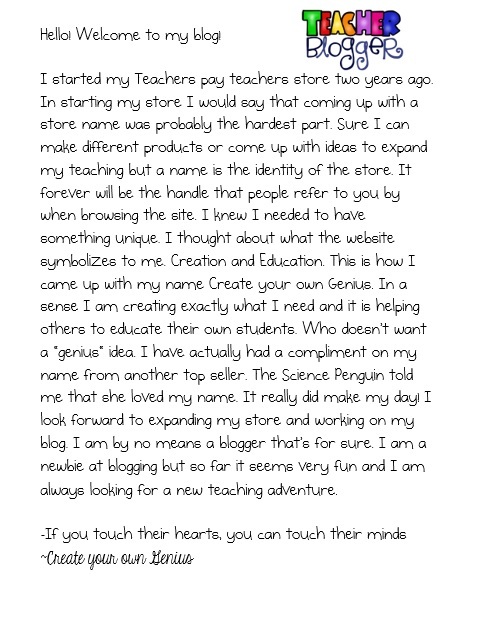 Sure I can make different products or come up with ideas to expand my teaching but a name is the identity of the store. It forever will be the handle that people refer to you by when browsing the site. I knew I needed to have something unique. I thought about what the website symbolizes to me. Creation and Education. This is how I came up with my name, Create your own Genius. In a sense I am creating exactly what I need and it is helping others to educate their own students. Who doesn't want a "genius" idea? I have actually had a compliment on my name from another top seller. The Science Penguin told me that she loved my name. It really did make my day! I look forward to expanding my store and working on my blog. I am by no means a blogger that's for sure. 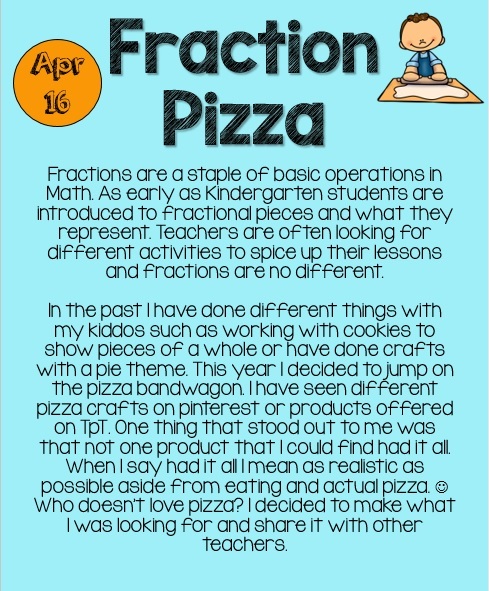 I am a newbie at blogging but so far it seems very fun and I am always looking for a new teaching adventure.